MOSCOW, February 9. /TASS/. 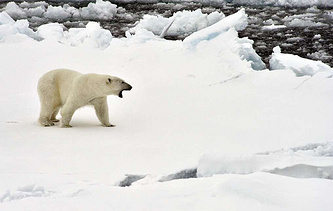 The appearance of polar bears in human settlements of the Novaya Zemlya archipelago, which triggered a state of emergency in the region, has been caused by the seasonal migration of animals and available edible waste in the settlements, Ilya Mordvintsev, a lead researcher at the Severtsev Institute of Ecology and Evolution, told TASS. On Saturday, the Novaya Zemlya archipelago, located in the Arctic Ocean in the northern Russian Arkhangelsk region, declared a state of emergency after dozens of polar bears invaded human settlements. Dozens of polar bears gathered near human settlements from December 2018 until February 2019. 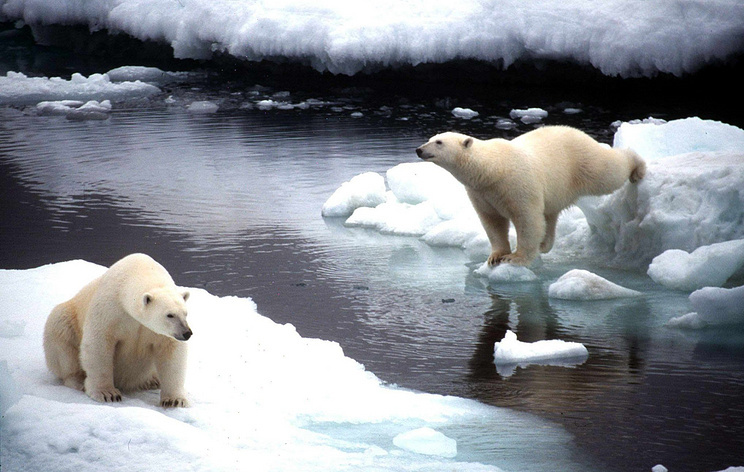 At least 52 polar bears were spotted near the settlement of Belushya Guba. There were cases of wild animals’ aggression when they attacked people and entered residential buildings and offices. Between six and ten polar bears are constantly on the territory of the settlement. "Compared to previous years, they come ashore in the southern part of the archipelago, where the ice is changing. They migrate through Novaya Zemlya heading north, where the ice is solid," the expert said. "It is migration from the south to the north. They are staying in that location [near Belushya Guba] because there is some alternative food. They could have gone past but for the food. But as there are bins with edible waste, they stop to flock." According to the scientist, so many polar bears have never been spotted in that area. "This number is extreme, so we should fly there to see," he added. Extra fences were installed near the kindergartens to ensure children’s safety. The military personnel and employees are delivered to workplaces by special vehicles, while the area is patrolled. Nonetheless, the measures yielded no tangible result. The bears had no fear of signals used to scare them off as well as of patrol cars and dogs. The Russian environmental watchdog has refused to issue licenses for shooting the most aggressive polar bears. An expert team will be dispatched to the archipelago to assess the situation and prevent the predators’ attacks on humans. The experts hope that firearms will not be needed to warn off the endangered species.